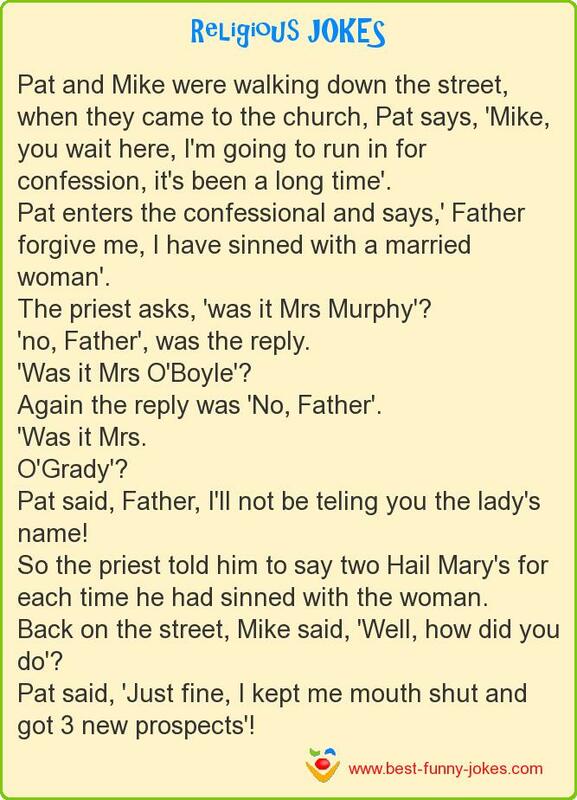 The priest asks, 'was it Mrs Murphy'? 'no, Father', was the reply. Again the reply was 'No, Father'. Pat said, Father, I'll not be teling you the lady's name! Back on the street, Mike said, 'Well, how did you do'? Pat said, 'Just fine, I kept me mouth shut and got 3 new prospects'!